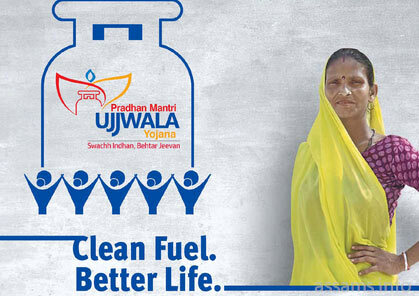 The Pradhan Mantri Ujjwala Yojana was launched recently to provide free LPG connections to 5 crore families across the country in the next 3 years. Under the recently announced Pradhan Mantri Ujjwala Yojana scheme, free LPG connections will be provided to women who belong to BPL (below-poverty-line) households. It has been estimated that nearly 5 crore families will benefit from this. Prime Minister Narendra Modi has chosen Ballia, a district in Uttar Pradesh, to launch this scheme as the district’s average gas penetration is one among the lowest in the country. This scheme was sanctioned by the Union Cabinet of Economic Affairs on March 10, 2016. According to available data, approximately Rs. 8,000 Crore has been reserved for the scheme. According to the scheme, each beneficiary will receive monetary support of Rs.1,600 to get a cooking gas connection. The poor in India, especially those in rural areas, have limited access to LPG (liquefied petroleum gas), which is the household cooking gas. The spread of cooking gas has mainly taken place in the semi-urban and urban areas covering mostly the affluent and middle-class families. Additionally, serious health hazards are associated with alternate fuels such as wood, dried cow dung, kerosene and low quality coal which the poor use for cooking. World Health Organization reports that an estimated five lakh deaths a year in India are caused by unclean cooking fuels, while a much larger number suffer from a range of respiratory illnesses. The indoor air pollution caused by low quality fuels is responsible for a significant number of respiratory illnesses, which occur among small children. Studies reveal that having an open wood fire in the kitchen is almost as poisonous as 400 cigarettes in an hour. Crores of women and girls are exposed to household air pollution that is caused by the use of solid fuels such as coal, dung cakes or biomass, which is used for cooking in improperly ventilated kitchens and houses. Health experts have confirmed that smoke released from the burning process contains hazardous substances such as particulate matter and carbon monoxide which may lead to diseases like lung cancer, heart disease, stroke and chronic obstructive pulmonary disease. According to WHO, around 3 billion people cook and heat their homes using open fires and simple stoves, burning biomass (wood, animal dung and crop waste) and coal across the world, and over four million people die prematurely from illness attributable to the household air pollution from cooking with solid fuels. To tackle these challenges and promote well being of the economically challenged, the Ujjwala Yojana scheme has been announced. It is the first social welfare scheme which will be implemented by the Union Ministry of Petroleum and Natural Gas. All other schemes till date such as the Jan Dhan Yojana for opening of savings accounts, the Sukanya Sammridhi Accounts, etc. have been implemented by other government ministries. As LPG connections are provided to the below-poverty-line households, it will empower the disadvantaged women in our society and protect their health as well as the health of their families. Additionally, it will reduce the time which these women spend on foraging wood, dung and other cooking fuel. The Ujjwala Yojana is also expected to provide the rural youth with additional employment opportunities in the cooking gas rural supply chain. The application form along with the attached documents will have to be submitted with the LPG office in the area. The LPG field officials will check the details of the applicant and match them against SECC (Socio Economic and Caste Census) data to confirm eligibility. The LPG gas cylinder will be provided as soon as the applicant is found eligible. The applicant can also opt for an EMI option to cover the stove’s cost and the cost of the first refill. The subsidies for LPG would be provided directly into the savings accounts of the women in need so that the possibility of corrupt practices is eliminated. This measure is expected to increase the number of savings account applications especially in the rural areas. The woman applicant must be minimum 18 years of age as on May 1, 2016. She should belong to a BPL household. Her house should not already own an LPG connection. The move to provide concessional LPG connections is a crucial move in the right direction but additional steps need to be taken to ensure that all homes in India use modern fuel for cooking by 2019. Affordability is one major concern as households shift from solid fuels to modern fuels. Merely subsidized connections provided by the Ujjwala Yojana Scheme will not be sufficient. There have been state level schemes earlier like the Deepam Scheme in Andhra Pradesh, but they were not successful in meeting their goals. As per the current scheme, these low income households will still have to bear the cost of the stove and other accessories as well as the price of the LPG cylinder (less the subsidy). Written by Abhishek Chakravarti for Factly and republished here in arrangement with Factly.